House Minority Leader Nancy Pelosi called Supreme Court nominee Brett Kavanaugh "hysterical" and said that he was temperamentally unfit to serve on the Supreme Court. Pelosi made the comments in an interview Saturday at the Texas Tribune Festival in Austin, Texas. "I couldn't help but think that if a woman had ever performed that way, they would say 'hysterical,'" Pelosi said about her reaction to Kavanaugh's testimony before the Senate Judiciary Committee on Thursday. Kavanaugh emotionally denied allegations that he had sexually assaulted Dr. Christine Blasey Ford when they were both teenagers. During his opening statement, Kavanaugh was very emotional, at times nearly shouting and choking up while discussing his family and his high school years. He also explicitly condemned Democrats on the committee, calling the allegations against him a "grotesque and coordinated character assassination" organized by liberals angry that Hillary Clinton lost the 2016 presidential election. Pelosi said that she believed Kavanaugh's testimony proved that he could not serve on the Supreme Court, because it showed that he is biased against Democrats. "I think that he disqualifies himself with those statements and the manner in which he went after the Clintons and the Democrats," she said. Pelosi demurred when asked if she would try to impeach Kavanaugh if he is confirmed, and if Democrats gain the majority in the House of Representatives. "I will say this -- if he is not telling the truth to Congress or to the FBI, then he's not fit not only to be on the Supreme Court, but to be on the court he's on right now," Pelosi said. Kavanaugh is currently a judge on the D.C. Circuit Court of Appeals. Pelosi added that as a Democrat she was concerned about potential Kavanaugh rulings against the Affordable Care Act or Roe v. Wade, as he is considered to be a conservative justice. In his confirmation hearings, Kavanaugh sidestepped questions on whether he would overturn certain Supreme Court decisions. 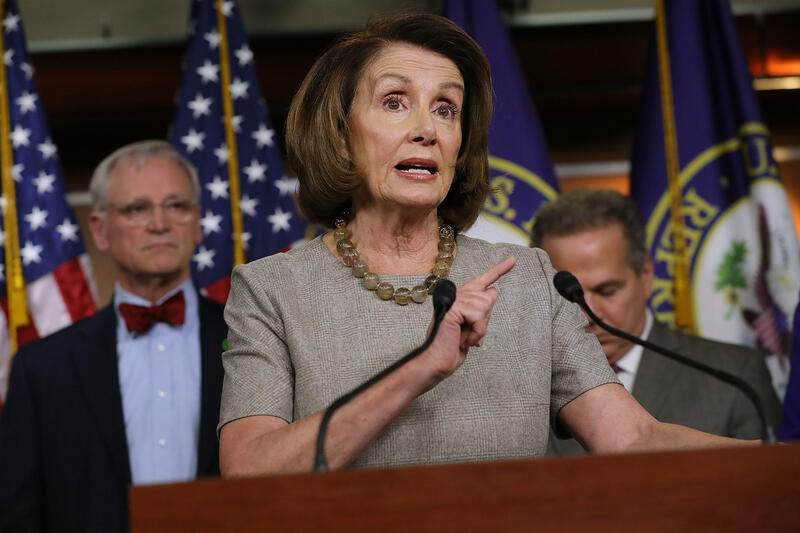 "It's not time for a hysterical, biased person to go to the court and expect us to say, 'isn't that wonderful,'" Pelosi said.